Helping hands are always welcome at the Senior Center. If you are interested--be that with teaching a computer class, working in the kitchen, entertaining, doing light office work, driving to pick up food at a local grocery store for our Food Pantry, or with anything else!--please call 253-838-3604 for more information. You do need to be registered with Amazon.com in order to utilize AmazonSmile. If you are not registered, it's very easy to sign up! Visit smile.amazon.com. You will need to select a charitable organization before you begin shopping, so search for Federal Way Senior Center! AmazonSmile remembers your selection, and every eligible purchase you make there after designating the Senior Center will result in a donation. Here's a tip! 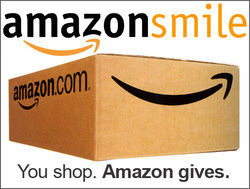 Amazon gives you an opportunity to automatically direct itself to smile.amazon.com if you mistakenly type in amazon.com. Take them up on it! It's so much easier to remember that way. The Federal Way Senior Center is a 501(c)(3) organization, and as such, any donations you care to make are tax-deductible! And it's as easy as sending your donation to us at 4016 South 352nd Street; Auburn, WA 98001. You can also click the Donate Now button below! This will directed you to the Seattle Foundation, a secure, online method of donating funds to the FWSC. You may use a credit or debit card (that has a Visa or MasterCard logo on it). We appreciate any donation you make! We are looking for your gently used household items for our thrift store, The Treasure Chest is open Monday and Thursday from 8:15 am - 11:00 am. Donations to the Treasure Chest help us to keep our doors open to support our local seniors. Visit our store and discover great things you did not know you needed.